Last month I could finally get a chance to stay longer in Japan and see more of it then only Tokyo. My colleague was heading here later so we got together a week to explore a little bit of the country. Usually you will know Japan to be referred as a land of raising sun. But during this visit I experienced more of the sun set. They do not have a summer time and during October the sun is up early but it gets dark also at five in the afternoon. For us foreigners who wanted to try Shinkansen bullet trains was an easy choice to get a Japan Rail Pass for one week and just go where we wanted to. We have decided to go to one of the well known and famous cities, to Kyoto. But since on Saturday, there was a Tajfun heading somewhere around we didn’t had a trouble to find nice accommodation in Hostel Cocone Kyoto Station. They just opened this hostel and it was a perfect stay for us thus we extended it a bit. In Kyoto we rented a bicycles to move around the city and it was great idea. We could see much mode thanks to them and as a cyclist in here you can go pretty much anywhere. 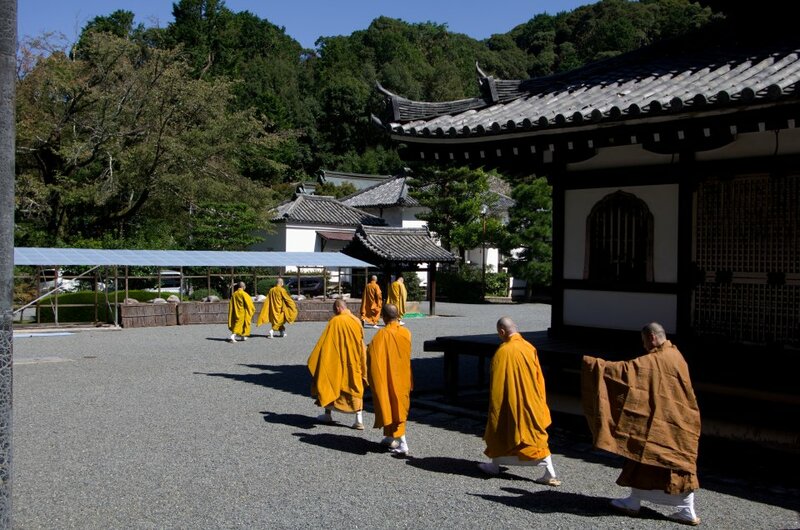 In the city itself there are many UNESCO protected sites and shrines as has many historical sites since it used to be a capital for some time. Some are for free but to many you need to pay some entrance fee. Also, several were being reconstructed now. Possibly they are preparing them to be ready for 2020 Olympics as that will bring a lot more tourist to the country. 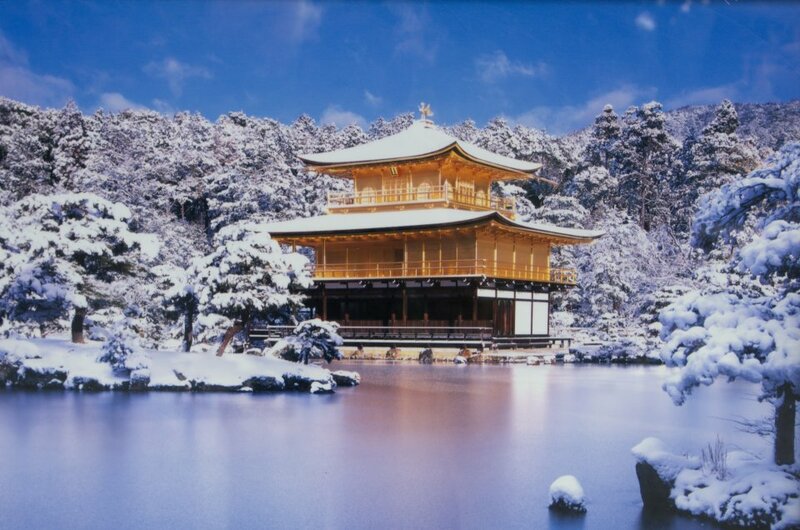 I think the most impressive to be Kinkaku-ji – the golden pavilon where they keep a Budha’s relic. It looks like a place form fairly tale and must be also beautiful in the winter as you can see on a photo of photo below. From here we went for a day to Nara but it might be better to just take it as a trip there rather then to move as for our next move we had to go back to Kyoto anyway. After spending so much time in the cities we wanted to go also to some mountains. 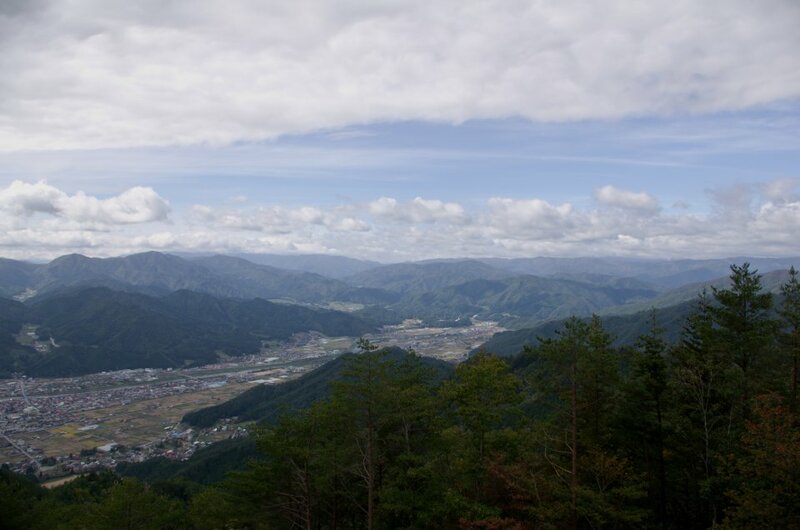 We found about Hida area and went to village Takayama which is one of the entry point to Japan Alps. Here we were not so lucky with the weather so we stayed more around and went to a lower hill to see around and since we could not see the high mountains because they were hidden in the clouds it was probably good decision not to head there. For next time we will probably visit rather Matsumoto. It is located on the other side of the range and it’s closer to the starting point. In Takayama one day before our arrival was a big festival which attracted many people and probably was interesting so I’m sorry we missed it but that is a price of not planning everything 😊. Anyway there are many things to see in Japan and I’m looking forward for next oportunity to see again more out of the country.